We still might get another Craig film, though. 4,147. That is the number of days Daniel Craig has spent as James Bond, ever since his announcement on October 14, 2005. With this, Craig has taken Pierce Brosnan’s place as the second longest-running actor to ever play 007. Of course, Roger Moore is still the first. If Craig wants to beat Moore’s mark, he will need keep his tuxedo for another two and a half years. But while we wait for that day to arrive, why don’t we celebrate Craig’s turning point with his best Bond scenes? What better way of starting Craig’s time as Bond than by having him fighting, parkour-style, as he runs along a crane? With this incredible sequence from Casino Royale, Craig’s gritty 007 is showing us he’s more likely to be found at a construction site than sipping fancy drinks with people in high places. Craig was all raw fighting and no finesse at the beginning, and we loved him for it. Uttering this line is automatically on any 007’s list of best moments. It is particularly poignant for Daniel Craig as well, because it takes him the whole of Casino Royale to finally say it. But it was definitely worth the wait. One of the best aspects of Craig’s Bond throughout his films is his relationship with Judi Dench’s M (more on that later), and after spending all of Quantum of Solace mourning (the Bond way) the death of Vesper in Casino Royale, Bond lets M know that he is still everyone’s favourite spy. How insane is this whole sequence from Skyfall? Undoubtedly, this is one of the most thrilling moments from the Craig era. And it’s always nice to see Bond display his badassery surrounded by normal people too. Sure, this is more about M if we are being honest, but the buildup to Silva’s entrance with Judi Dench reciting that poem just makes it all better. Bond does show up at the end, though. He was still recovering from all the Tube madness. If there is a non-action scene from the Craig era that makes everything else pale by comparison, it’s M’s death. As we mentioned earlier, Bond and M’s relationship here is stronger than we’ve ever seen before, and Dench and Craig’s performances help make Skyfall the best Bond film to date. 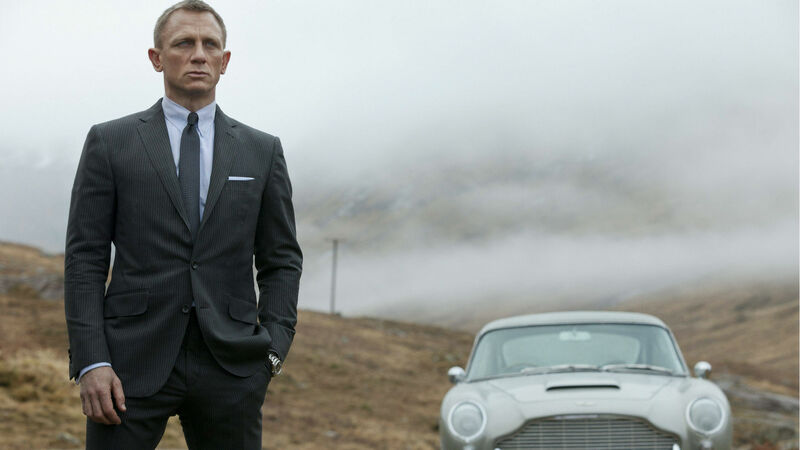 Sure, Spectre might not be as great as its predecessors – especially as it had the hard task of following Skyfall. But Sam Mendes pulled off this spectacular tracking shot at the beginning of the film, and that should be enough to redeem it – although next time, if you have Christoph Waltz as your villain, don’t underuse him, ok?